Microwave ovens have become a kitchen essential for many, if not most, households. Problem is, once we shut the microwave door, it’s easy to forget about the spilled or splattered food accumulating on its interior….until the next time we go to use it. By that time, it’s hardened into a stubborn residue. 1. 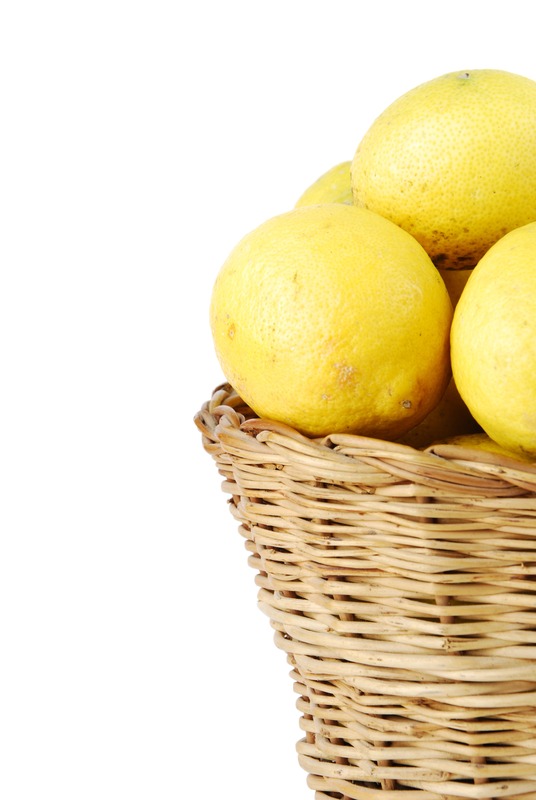 Squeeze the juice of a whole lemon into a cup of water in a microwave safe bowl. Heat the mixture in the microwave for three minutes. Careful—it will be hot! Remove the bowl with mitts and set aside. Wipe down the steamed residue from the interior of the oven with damp paper towels. 2. Follow the same directions above, using vinegar in place of lemon juice. After the vinegar solution cools, you can dip a sponge into it and wipe down the microwave interior again, which will neutralize odors. (For added value, after you clean your microwave, shake a dollop of baking soda into your kitchen sink, followed by the vinegar solution. Wipe down and rinse. Your sink will sparkle from the mild scrubbing and foaming action, and the solution will deodorize the drain). 3. Dissolve a half cup of baking soda in two cups of water in a microwave safe bowl. Heat for two minutes until solution boils, then let cool enough to remove. Dip sponge in baking soda solution (wear gloves as it will be hot) and wipe down interior of microwave. Stubborn burnt popcorn smell bugging you? After cleaning the oven with one of the above methods, try one of these techniques, depending on your preference for fragrances. Mix a few teaspoons of ground coffee in a ceramic cup of water and place the cup in a bowl. Heat for two minutes. Remove bowl and cup with mitts. Wipe down interior of microwave with damp paper towels. As an alternative, put four teaspoons of vanilla extract in a bowl of water and heat for two minutes. Remove bowl with mitts, and wipe down interior of microwave with damp paper towels. This entry was posted in Cleaning Tips, Healthy Living, Natural Living and tagged Cleaning, cleaning ideas, cleaning supplies, cleaning tips, kitchen, kitchen cleaning, microwave on August 19, 2015 by arich9.